On Tuesday, State Senator Bill Monning announced his plan to run for re-election. Before today, many had speculated he would run for the Congressional seat of retiring Representative Sam Farr. State Senator Bill Monning is running for re-election. He made the announcement Tuesday in Monterey outside of Colton Hall where the California Constitution was signed. He won the seat to represent District 17 in 2012. He now serves as Senate Majority Leader. During his speech, Monning talked about his accomplishments since being elected including the recently passed “End of Life Option Act,” and the establishment of the California Central Coast Veterans Cemetery on the former Fort Ord. Monning had been mentioned as a possible candidate for the Congressional seat being vacated by Representative Sam Farr. It is a position he ran for when Farr was first elected in 1993. And Monning admits it was something he seriously considered this year. “I have long thought representing this area in Congress would be the highest honor. But Washington isn’t what it was 22 years ago. 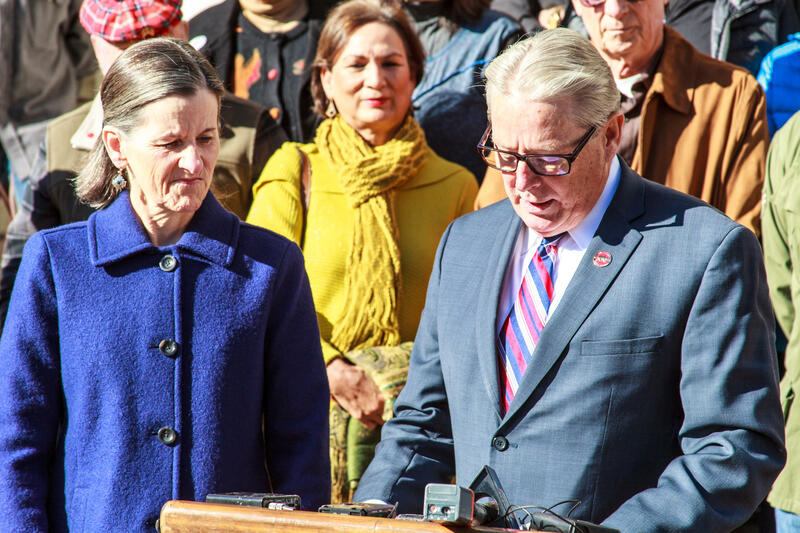 Gridlock has overtaken Washington and my wife and I have prioritized being available and close to our children, grandchildren and extended family,” said Monning. 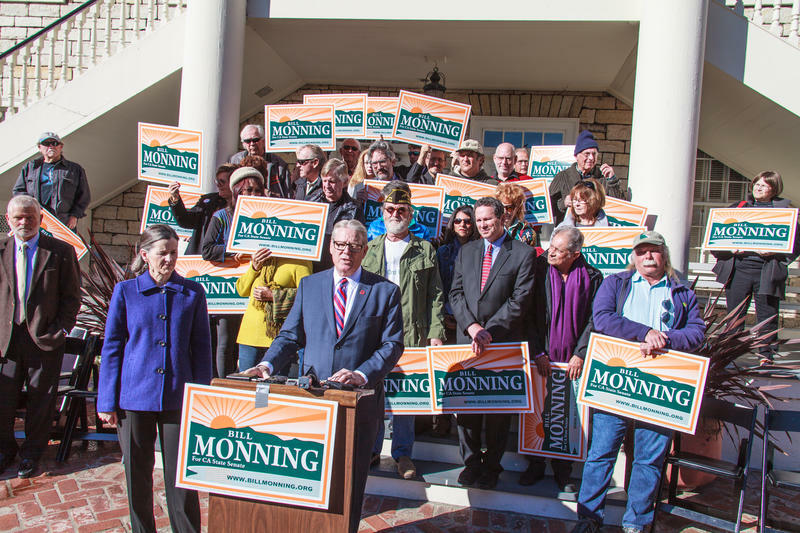 Monning added he believes he can do more as a leader in the State Senate than as a member of the minority party in Washington D.C.
“I know I can do more to address Climate Change in Sacramento in the next 4 years than I could in 20 years in Washington,” said Monning. There are no other announced candidates for the seat. Congressman Sam Farr will retire when his current term ends in January 2017. He made the announcement Thursday at the National Steinbeck Center in Salinas to a room filled with family, friends and supporters. “I don’t have any doubts that I could’ve gotten elected again and because you in this room have elected, almost counting primaries, 40 times,” said Farr. But he said looking ahead to his next birthday on the Fourth of July helped motivate his decision. He’s turning 75 and wants to spend more time with family. 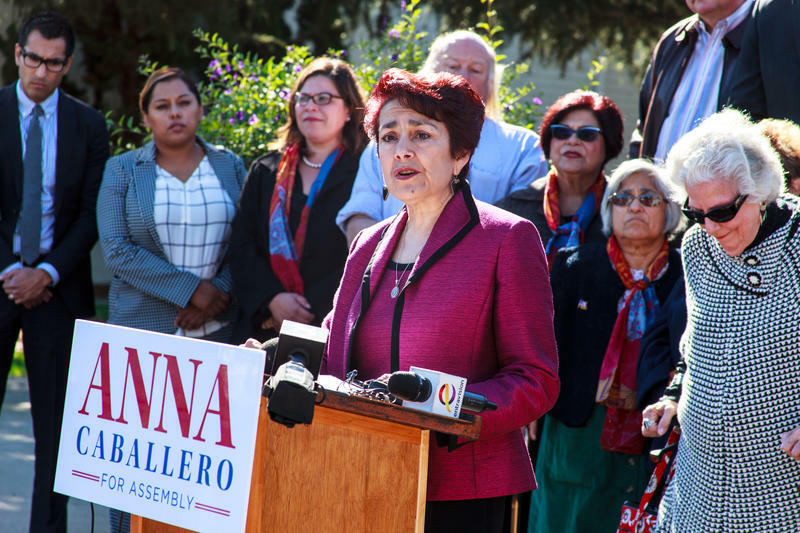 Former Assemblywoman Anna Caballero hopes to return to the California State Assembly. Her announcement Thursday came as a surprise to some who thought she would run for the Congressional seat of retiring Representative Sam Farr. But standing in the sunlit courtyard of the Salinas City Hall where she served 15 years as councilwoman and mayor, Anna Caballero announced she is running for the state Assembly seat now held by Luis Alejo. 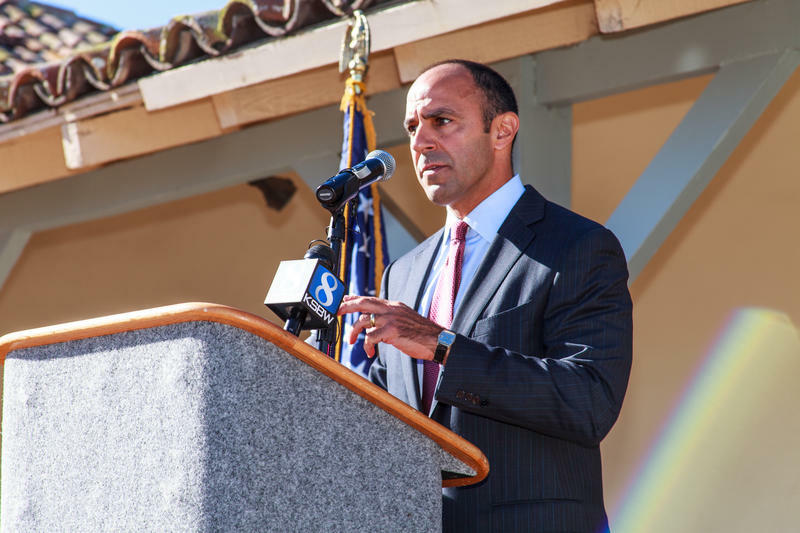 Monterey County Deputy District Attorney Jimmy Panetta has become the first Democrat to enter the race for retiring Congressman Sam Farr’s seat. A first challenger has emerged in next year’s campaign for the 20th Congressional District seat on the Central Coast. 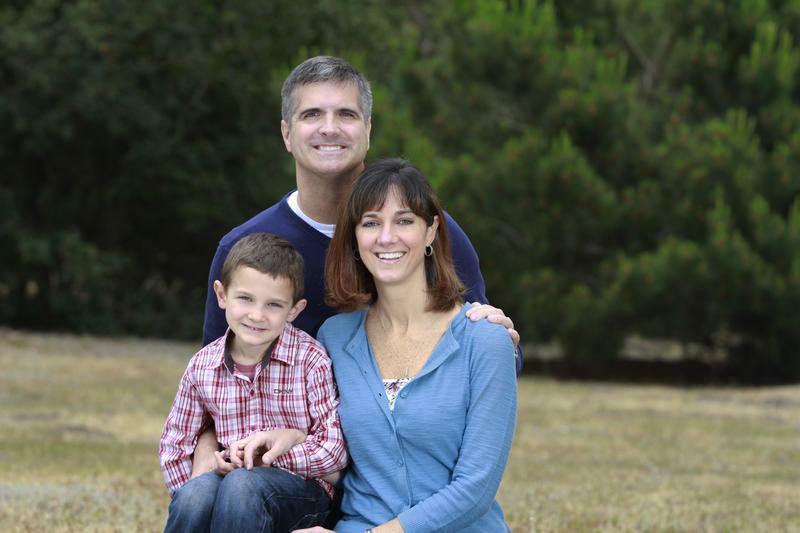 She is Casey Lucius, a member of the Pacific Grove City Council for three years and a candidate for the Republican nomination against veteran Democratic Congressman Sam Farr.